Ecotricity’s green gas mill has been given the go-ahead to be built. The project at Sparsholt College in Hampshire – the first of its kind in Britain – received planning permission this week from Winchester City Council. 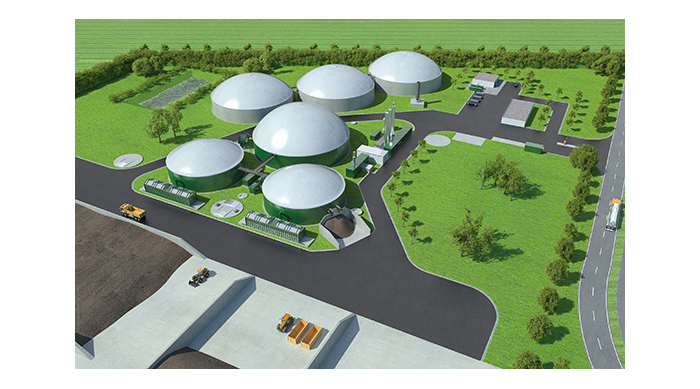 The £10 million green gas mill funded by Ecotricity will be fuelled by locally sourced grass and produce enough clean gas to heat over 4000 homes per year. The project is also expected to inject £60 million into the local economy. As part of the partnership, Ecotricity will also help fund the development of a Renewable Energy Demonstration Centre at the college. The college has also agreed funding of a £1.2 million in grant from the Local Enterprise Partnership (M3 LEP). Ecotricity founder Dale Vince said: “This is great news, green gas from grass has so much to offer Britain, and this planning consent gives us the opportunity to get started. “Earlier this week the government overruled the local planners in Lancashire to grant approval for the first Fracking site in Britain – as opinion polls show opposition to Fracking reaching an all-time high. The original planning application for the site was refused in April 2016 but the supplier addressed the transport concerns in a fresh application and included significant traffic alterations and new information. Sparsholt College principal Tim Jackson said: “I had every confidence that the planning committee would see the logic of this application which is entirely in line with local and national planning policy. Ecotricity introduced the concept of making green gas from grass in Britain early last year, and says it will be full speed ahead to complete the necessary preparation before construction can begin on its latest project. This month, the green supplier also told Utility Week that it would be interested in entering the water market and taking “an eco-approach to water”.